When you find something isn’t working for you it’s a good idea to make some changes. That doesn’t have to be a scorched earth kinda change but sometimes just looking at things from a different perspective can be enough. Three weeks ago, on payday – I decided to look at my daily work commute from a completely different angle. I walked past my car and headed into town to a quaint little train station and bought myself a monthly train pass. My car did a ridiculous amount of miles last year and me along with it. I could feel it taking its toll on my patience and my pocket. I was hoping that by having time to myself on my journey I would feel like the commute was less of a punishment. Relaxing would be preferable to feeling like ‘I needed’ to let the many dangerous drivers I encountered know how annoyed I was just to learn ’em! After almost 10 years of commuting to the same destination by car I’ve now tried it all. I’ve taken passengers, car shared with other drivers and driven alone! They all have their up sides and down sides. Driving with other people makes taking last minute holidays quite difficult but it does mean you reign in your anger when other drivers annoy you. You job is to put your passengers at ease after all. The last two years, driving alone has been both tiring and taxing – so much so that I devised a virtual driving points system. Every nice driver you encounter is equal to 5 bad drivers. This way most journies will end up with positive points despite there being plenty of bad drivers on the road. 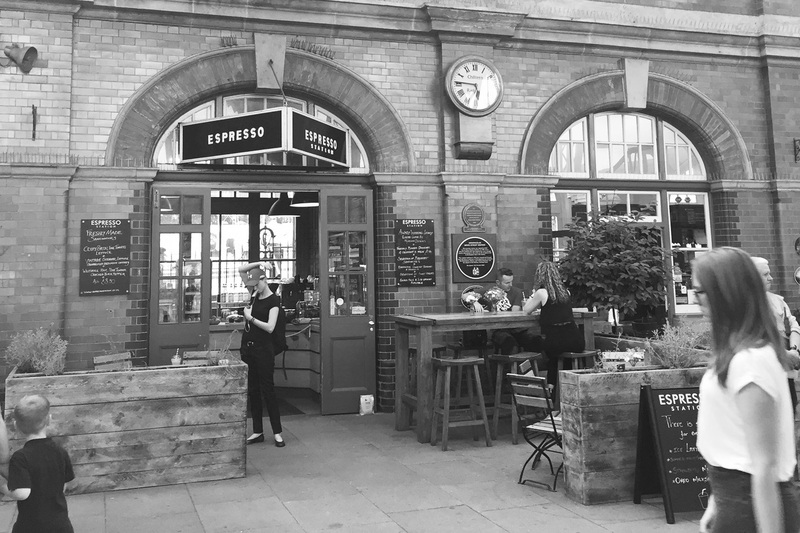 Money – My train pass is cheaper than the fuel and will only go up once every financial year. Unlike fuel that can rise every week. This will make budgeting easier. Wear and tear – My car will need fewer repairs this coming year. I’ve already done 1,200 miles less than I would. Doing 20,000 miles in a year creates a lot of wear. I’m expecting to spend less money on tyres and other consumables and this time next year I will only have to pay for a minor service instead of an annual major service. This also means my car should hold it’s value longer too which is always nice to know. The Environment – Following the news that Birmingham is planning to create a Clean Air Zone I thought it best to get used to leaving my car at home now before it comes into play. I actually live less than a mile into the zone so it’s made me think about how much I am polluting the city centre. By cutting down on the number of trips we take in our car we will doing our bit. Fitness – I can already feel the benefits of doing more walking. All that sitting makes you lazy. 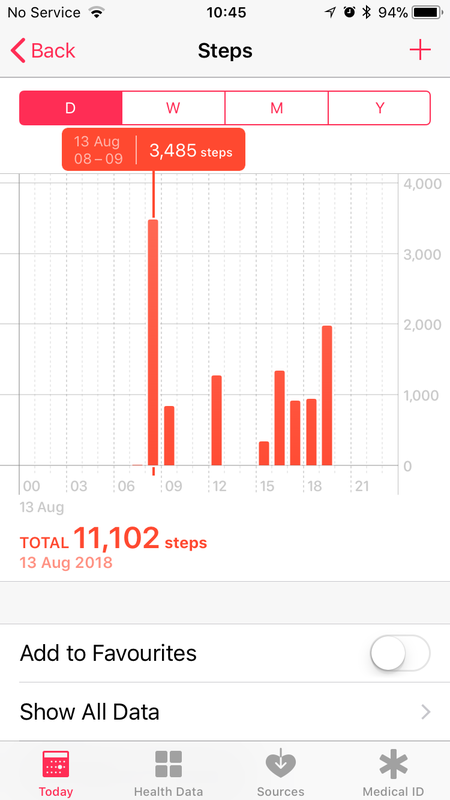 When I was driving I would be lucky to be doing a 1,000 steps a day and now in the last 3 weeks I am averaging between 6,000 steps each weekday – 11,000 on a really good day. This was a bit of a shock to the system the first few days but I soon got into it. 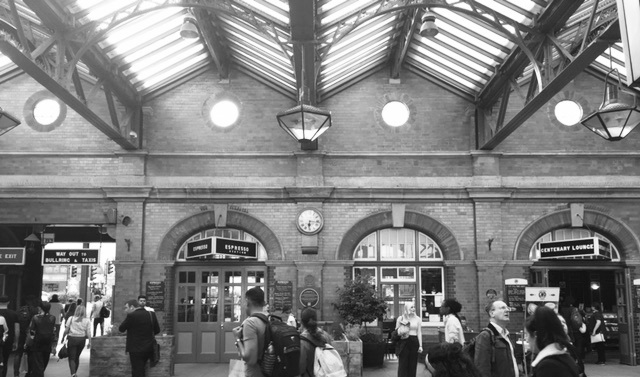 My patience – When the train is late it feels like it’s out of my control and I just get on with reading while I wait. When I was driving and I’d get stuck in traffic I would get stressed and start having to try and do some forward planning to avoid busy roads. This is super stressful for me as planning navigation is not one of my skills. My sanity – I have not had to deal with aggressive or dangerous drivers on my commute for three weeks now. I did drive to the supermarket on Sunday and was cut up on a traffic Island twice within the same minute. It did make me reflect on how much you have to be on high alert – anticipating other peoples driving. I have missed driving in the countryside but I can look out of the window of the train and mini bus and see the things I miss. I haven’t missed the road rage. Time – The amount of time my commute takes is very similar. Like before, it’s always changing and so far I haven’t got stuck in worrying about the minutes being wasted. Delays just mean more time to sit and read. For the last 2 weeks I’ve been reading while someone else drives. I’ve already made time to read 1 books and have almost finished a second book. I didn’t feel like I had time to read before so feel I am catching up on the things I have missed out on. There are so many topics that I want to read about and now I have the time. My brain cells – I’m quite excited about all the new things I will get to do with my new free time. It feels like my brain is going to have more variety of things to do and less repetition, whereas before I would get to work and not remember much of the journey. I did consider buying a Nintendo Switch so I can play it on my travels but I think I’ll wait until there are some deals later in the year. Of course making a change like this brings an adjustment period of it’s own. There have been lots of new things to plan, things I’ve either had to remember or decided to change. I will give you a rundown of my ‘commuter essentials’ list in my next #midweekupdate post. Have you changed your mode of transport recently? How is it working out for you? Well done, more relaxing for you and better for the environment. Thanks, I’m onto my third book now. I’m going to share the titles I’m reading as I e been really enjoying them. ? ?